Aerial view on Mt. Tapyas sign of the city Coron at sunset, a famous tourist place. Catholic cross and landmark on the mountain , Busuanga ,Palawan. 4K video. 4k00:34Aerial view on Mt. Tapyas sign of the city Coron at sunset, a famous tourist place. 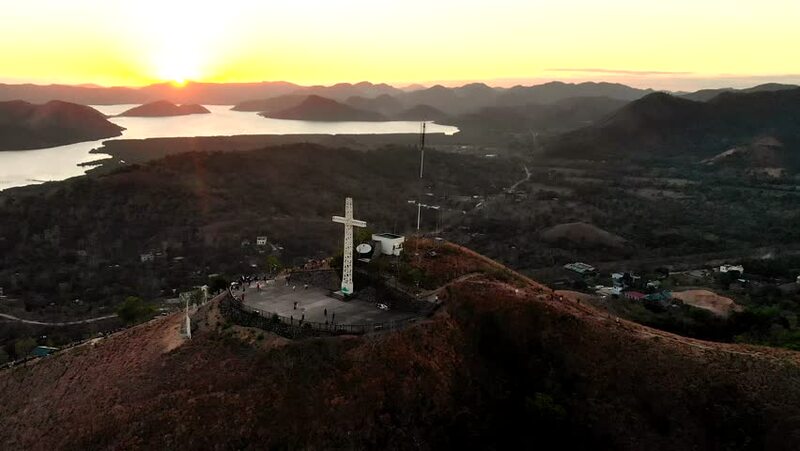 Catholic cross and landmark on the mountain , Busuanga ,Palawan. 4K video.